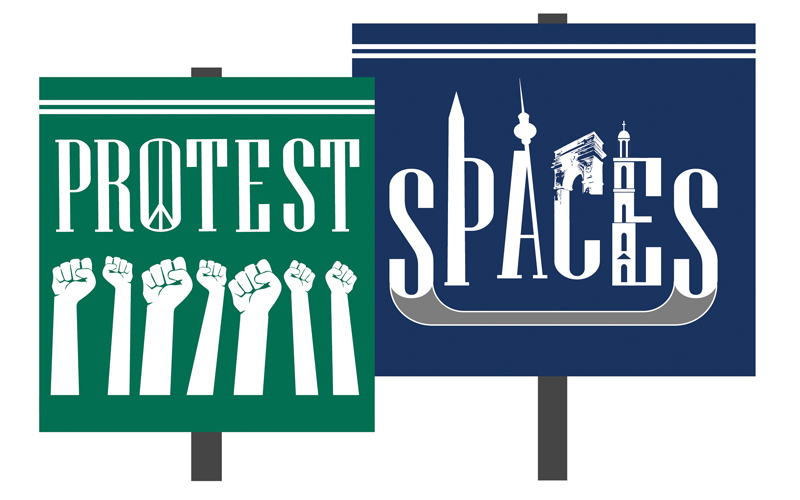 Protest Spaces: Peace Movements in the United States and Germany, 1920-2000 is a transnational research project which maps protest events. Research team members combine historical data on protest and grassroots demonstrations gathered from American and German archives in a location-based multimedia database of protest events and archival materials in the United States and Germany, creating a geospatial research tool for humanities scholars worldwide. transnational events which themselves crossed national borders and fostered connections between activists in different locations, such as Women’s International League for Peace and Freedom (WILPF) international summer schools in the 1920s and San Francisco to Moscow March for Peace in 1961. Each of the three categories includes the wide range of protest practices used by activists to appropriate public spaces, both in a literal and metaphorical sense, such as sit-ins, die-ins, military base blockades, nuclear free zones, and vigils. Through these lenses, scholars will be able to visualize patterns in the activists’ use of space which are otherwise obscured by the nature of archival research and the limits of studying protest events within individual archival collections. By curating information from diverse archives in the United States and Germany into the Protest Spaces project, humanities scholars will have access to a unique set of geospatial visual data to enhance traditional academic protest research.